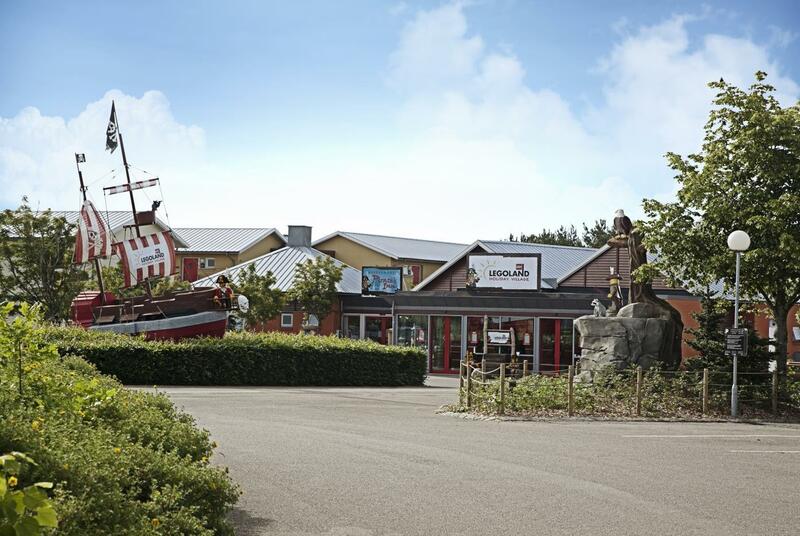 On the doorstep of LEGOLAND® is the new LEGOLAND®Pirate´s Inn Hotel, a cosy holiday location for the entire family, including a hostel, cabins and a campsite with lots of outdoor activities and plenty of room for fun and games. 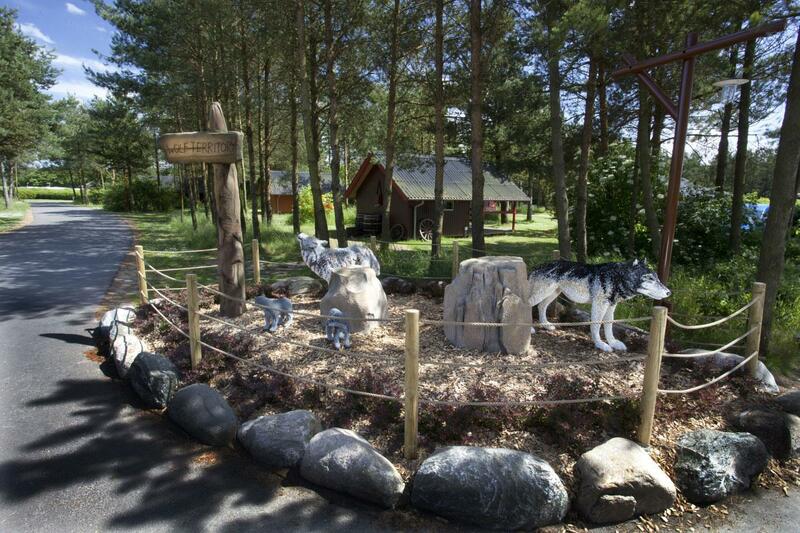 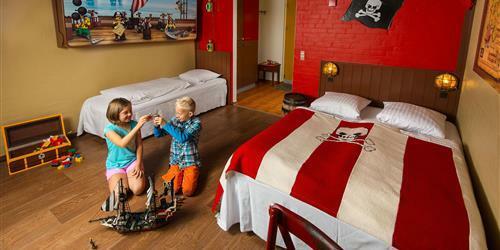 On the doorstep of LEGOLAND® is the new LEGOLAND® Pirates´ Inn Motel, a cosy holiday location for the entire family. 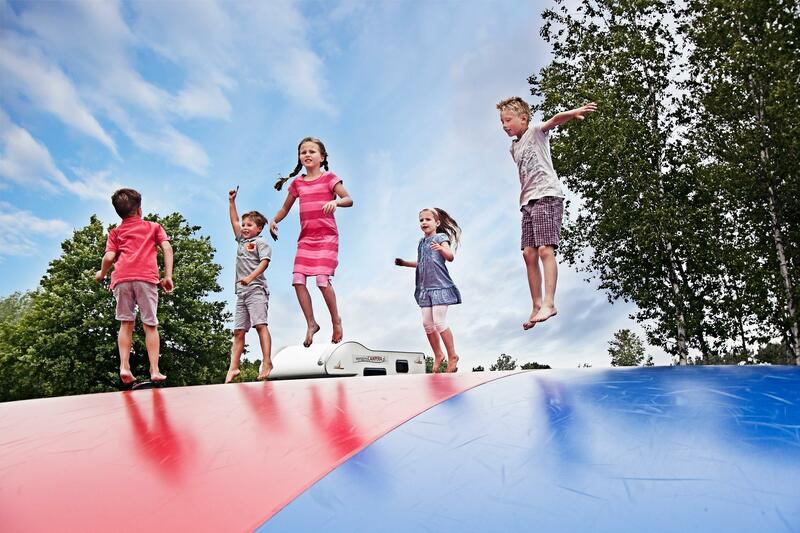 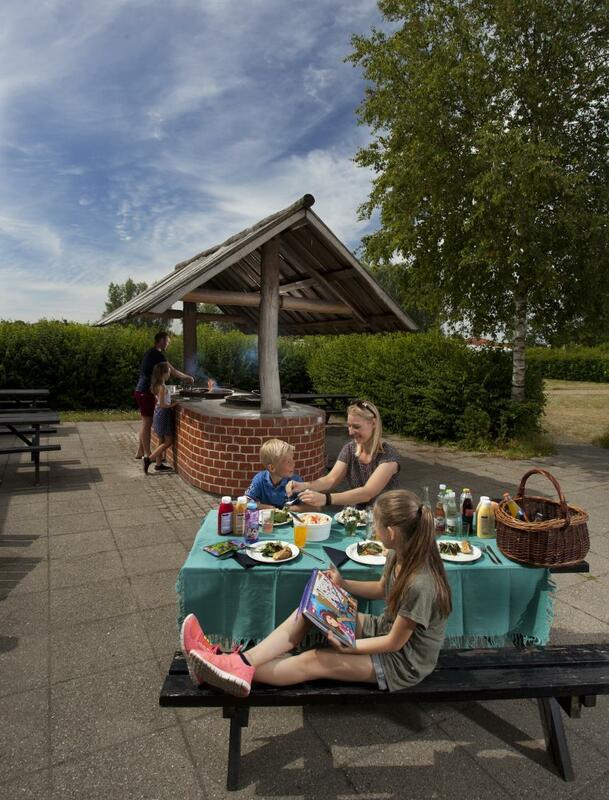 The Holiday Village is located in LEGOLAND® Holiday Village and includes pirat rooms, cabins and a campsite with lots of outdoor activities and plenty of room for fun and games. 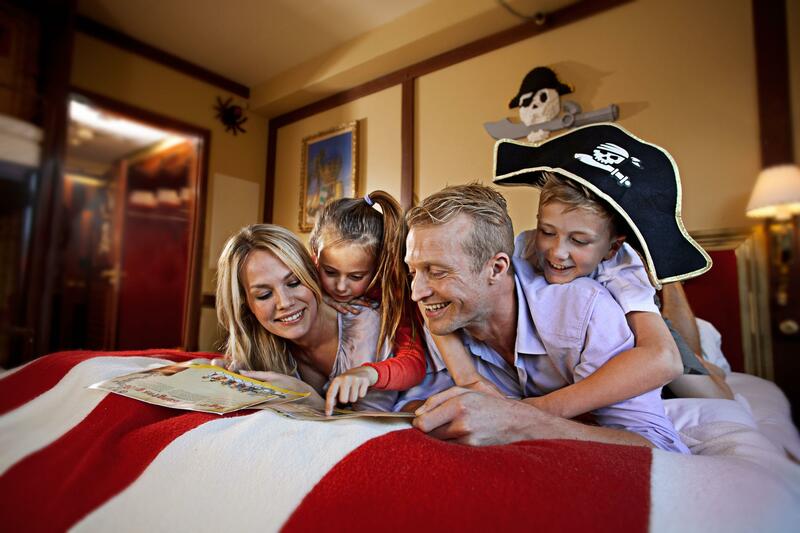 Live like pirates in our family rooms and enjoy the many activities and features offered. 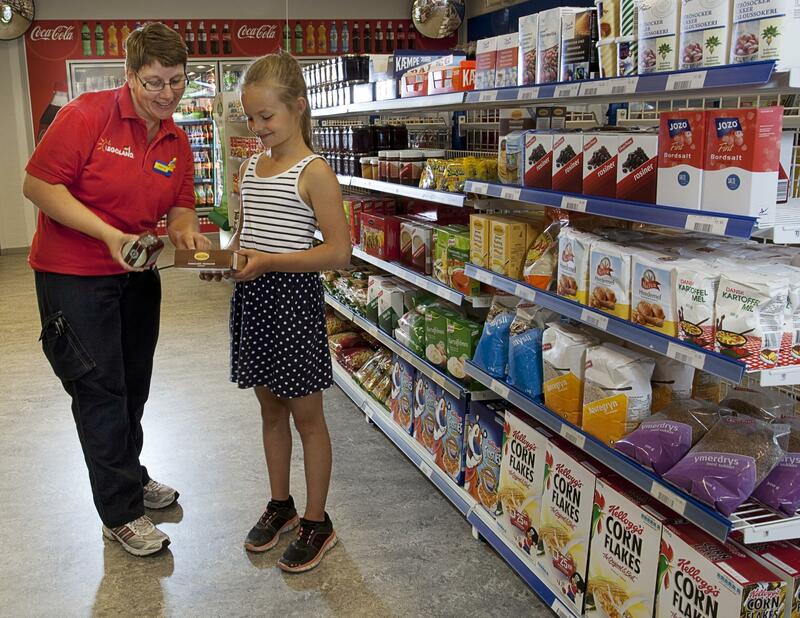 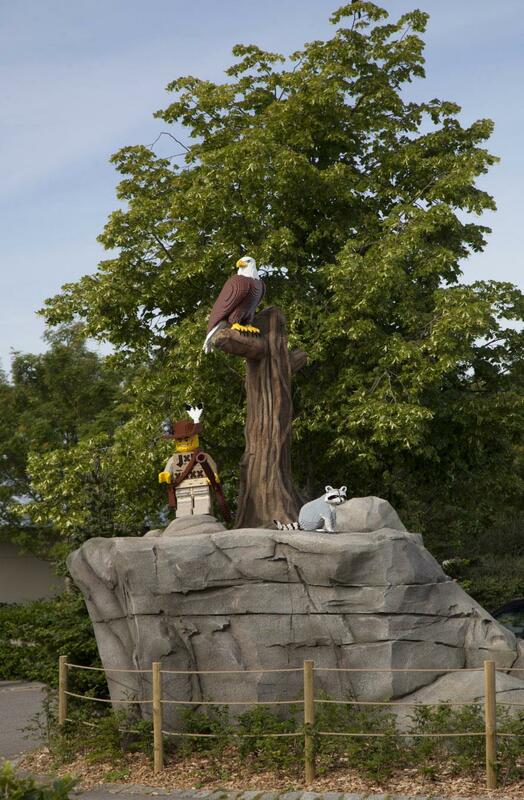 LEGOLAND® Pirates' Inn features a LEGO® shop, playgrounds, a petting zoo, bonfire sites and, naturally, excellent shopping opportunities. 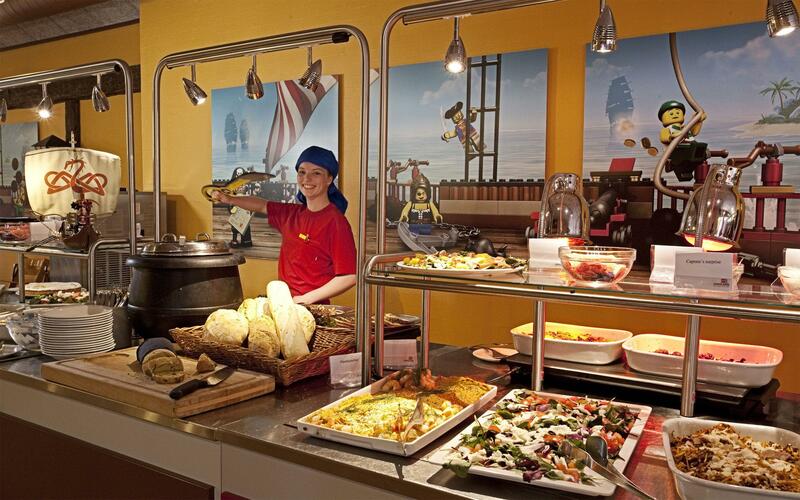 We also offer a pirate restaurant where you can enjoy a large and delicious breakfast buffet or your evening meal. 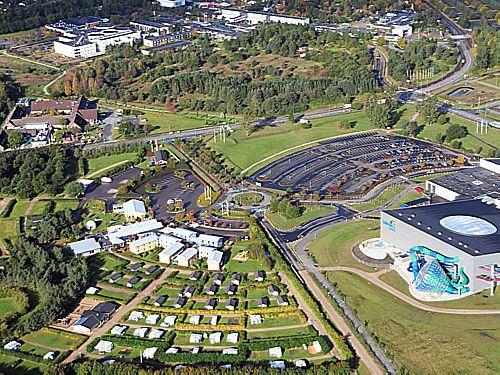 Furthermore, we are neighbours to the Lalandia aqua park and Billund Bad swimming centre if you feel like having a splash. 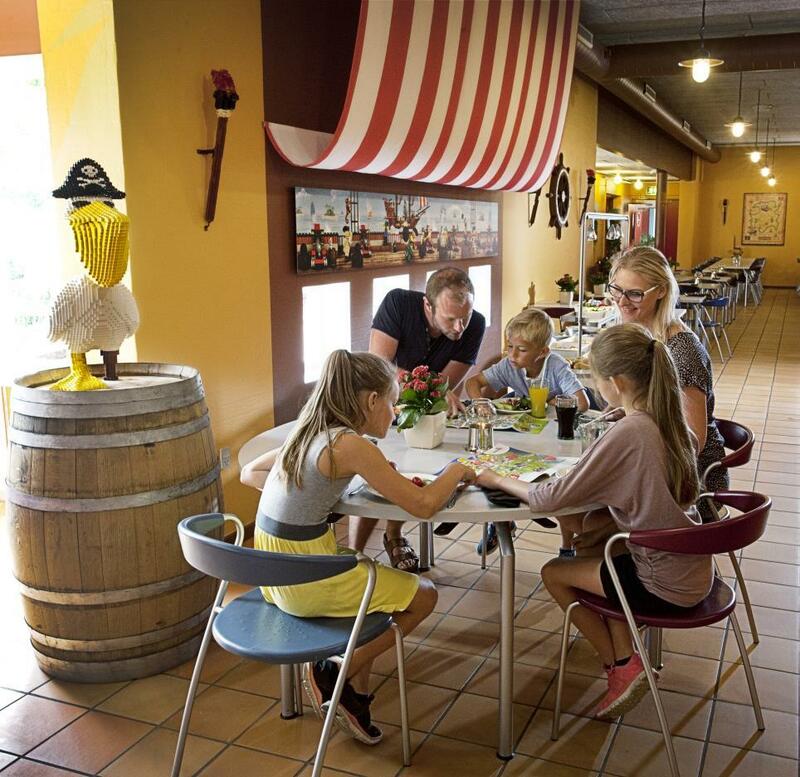 Bring your entire family to LEGOLAND® Pirate´s Inn Hotel. 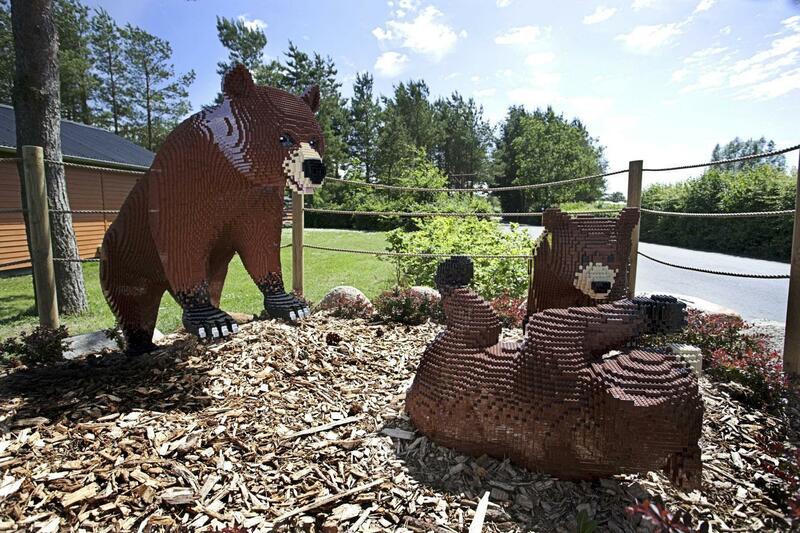 You will have great fun. 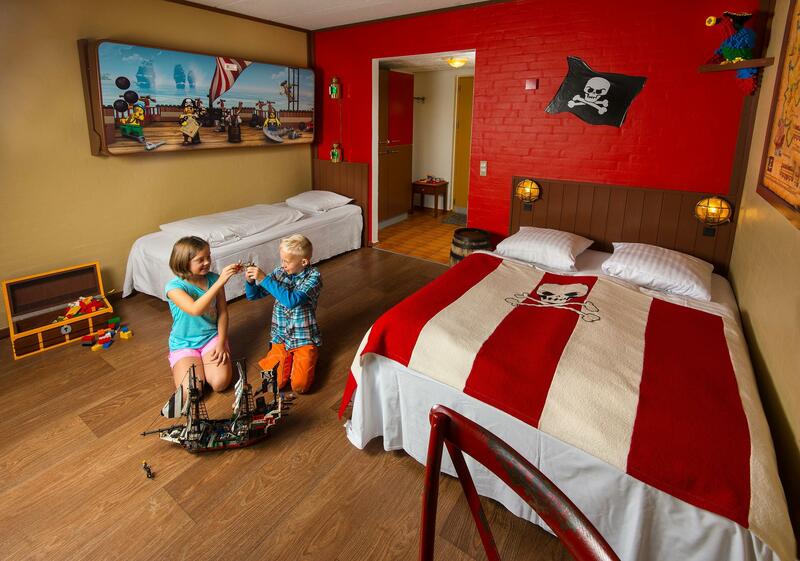 In our cosy LEGO® thematised family rooms the whole family can live like genuine pirats and enjoy the atmosphere of the seven seas. 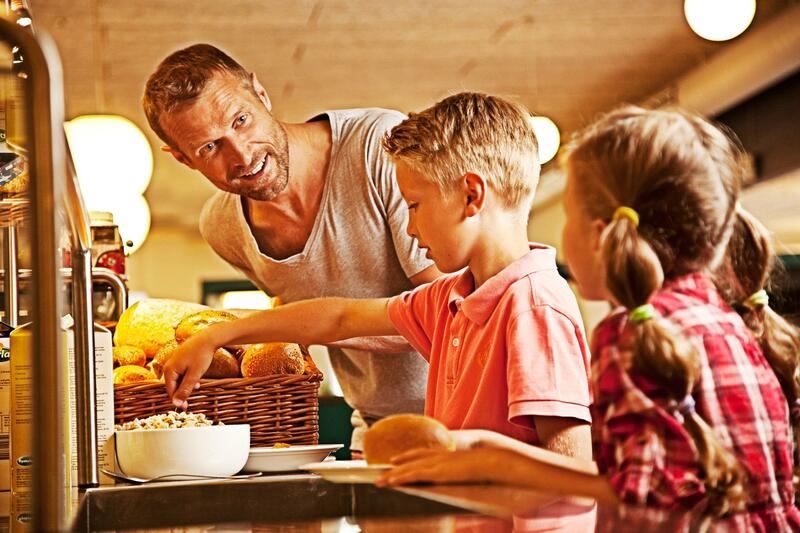 Everything you hoped for is here. 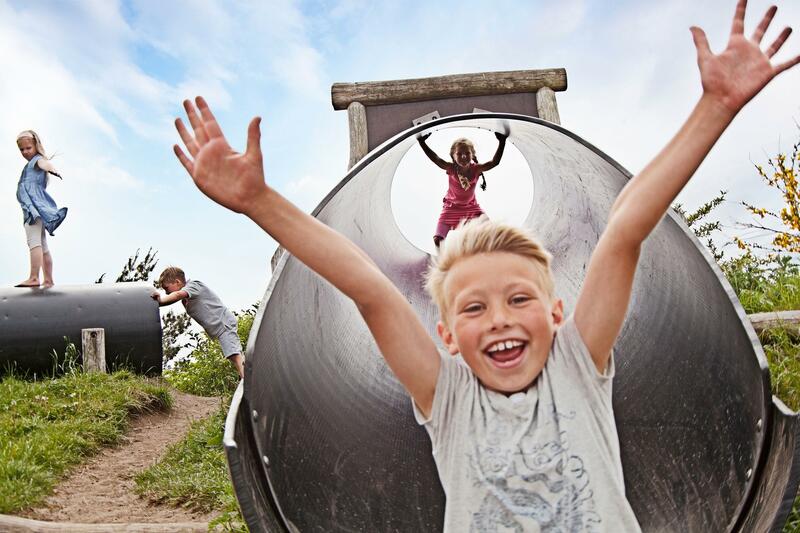 Staying in one of our evocative pirat rooms naturally includes access to the rest of the holiday location - packed with facilities and features for the whole family. 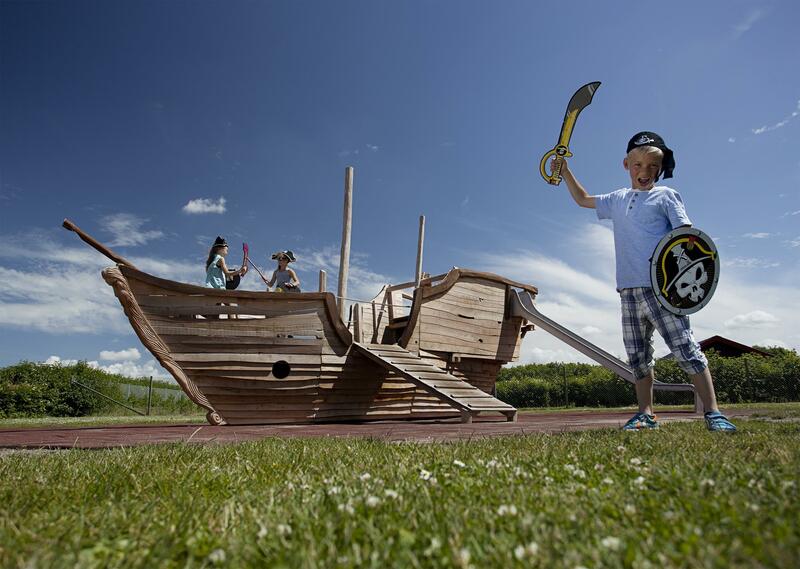 Ship ahoy – welcome to the pirate world. 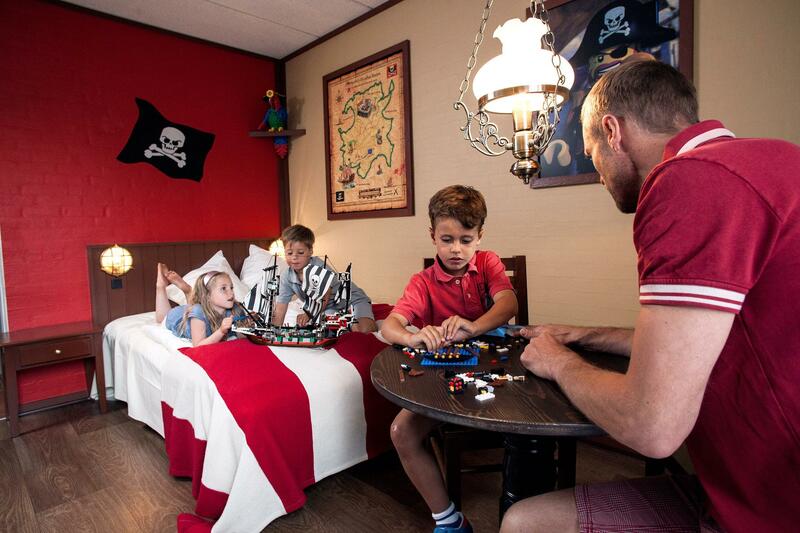 Our cosy LEGO® themed family rooms allow young and old alike to live as real pirates and feel the spirit of the seven seas. 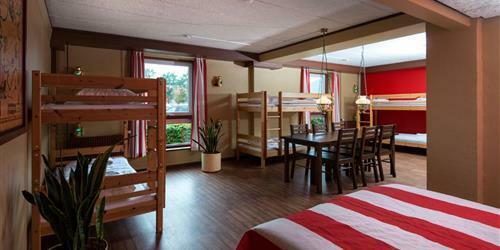 These rooms feature everything you would expect from a modern hostel. 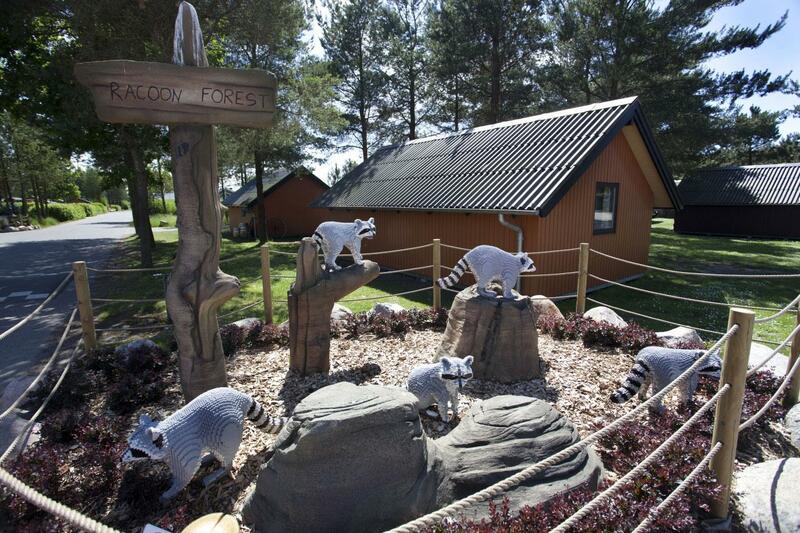 Naturally, a stay in one of our themed pirate rooms also gives you access to the rest of the Holiday Village, teeming with facilities and activities for the entire family. 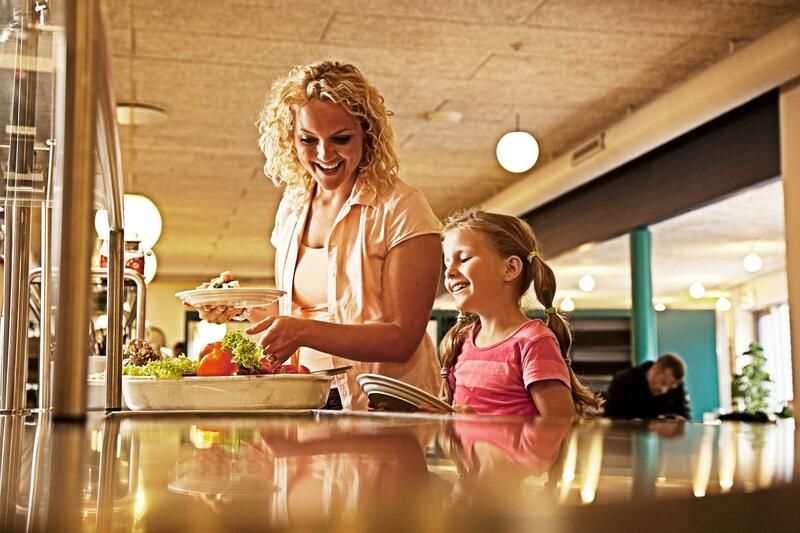 So Ship Ahoy &ndash; and welcome! 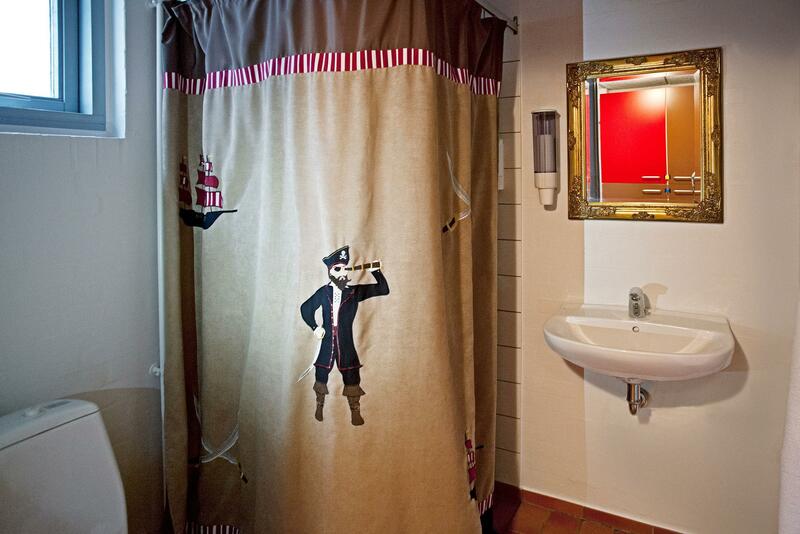 Pirate Room is 28 m² - with own bathroom and toilet, TV, small table with chairs, 1 double bed, one single bed and one pullman bed. 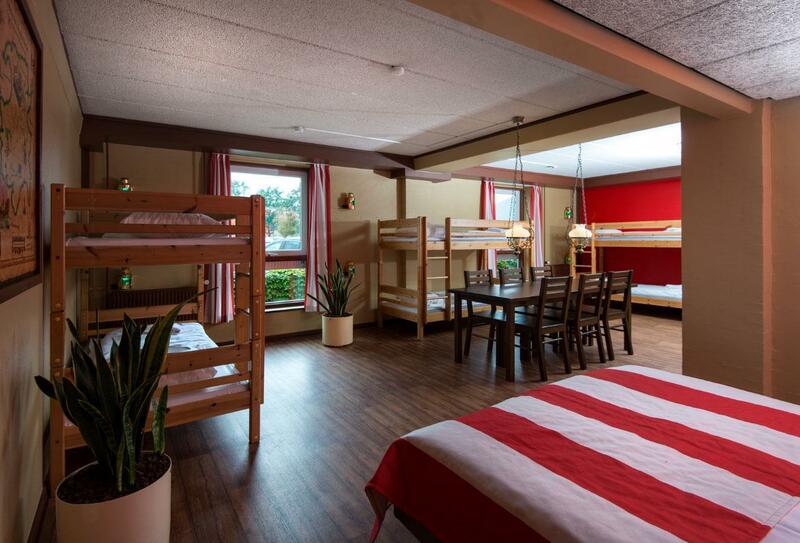 The price includes breakfast buffet, bed linen, towels and final cleaning! 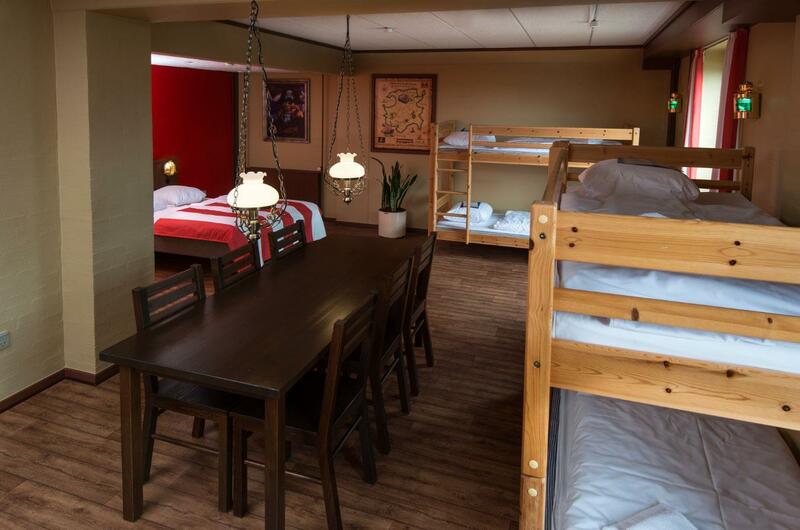 Pirate Room is 56 m² - with own bathroom and toilet, TV, small table with chairs, 1 double bed, 3 x bunk beds. 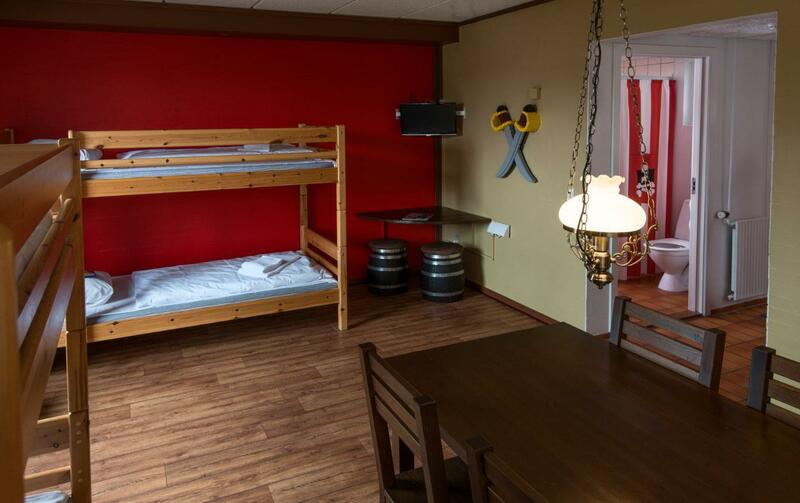 Pirate Room is 28 m² - with own bathroom and toilet, TV, small table with chairs, 1 double bed, one single bed and two pullman bed.